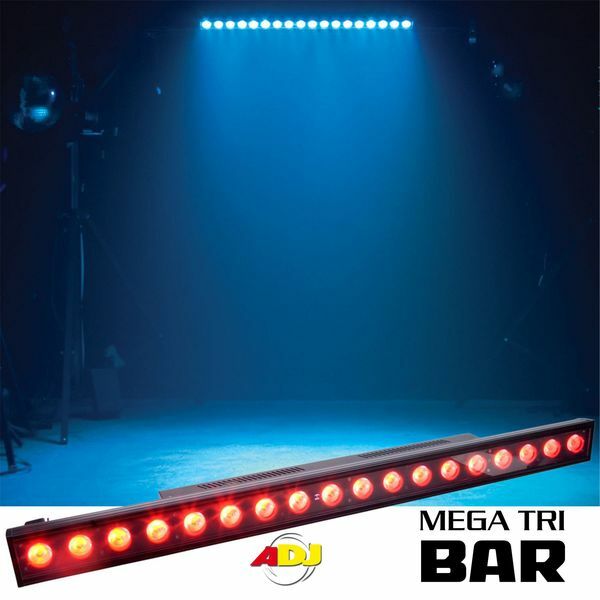 The American DJ Mega Tri Bar LED provides eighteen (18) 3W, 3-in-1 tri-color LEDs rated at 60,000 hours. Instead of each LED lamp being a single color, tri-color technology makes it possible for each lens to contain a combination of 3 single watt LEDs in red, green, and blue. This advanced, 3-color innovation offers several advantages over single-color LEDs, including improved RGB color mixing, the elimination of multi-color shadows, and a much brighter, more even wash field. 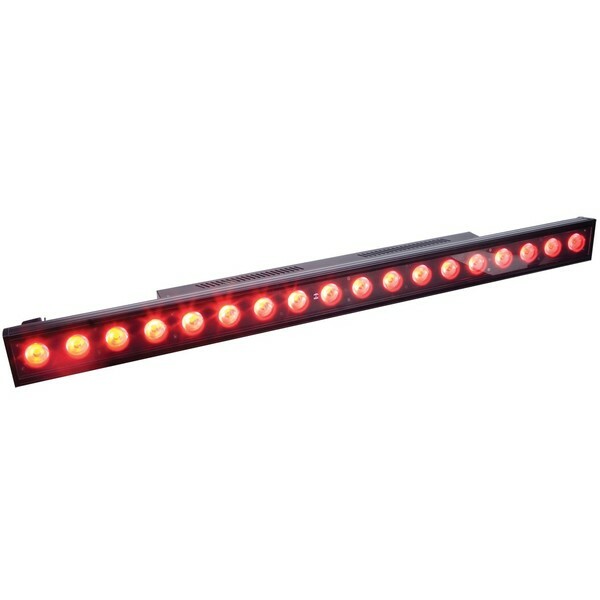 The Mega Tri Bar wash light also offers 7 DMX work modes, flicker-free operation for television and video, built-in programs and color macros, plus strobe function and electronic dimming. The Mega Tri Bar can operate in DMX mode with a controller, in master/slave mode, sound active mode, and stand alone mode (you can also use the built-in digital display to operate each unit without a controller). 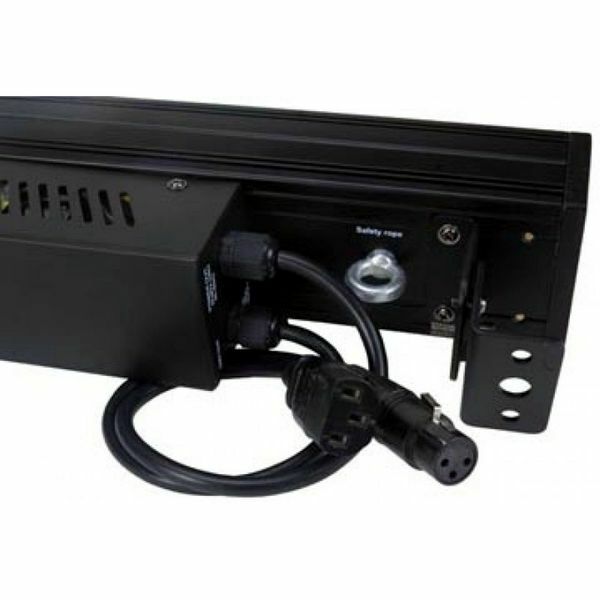 The 3-1/3' self-contained unit is multi-voltage (90-240V, 50/60Hz), draws a maximum of 80W, produces a 40-degree beam angle, and has in/out DMX and AC so that users can daisy-chain the power and the DMX connection. 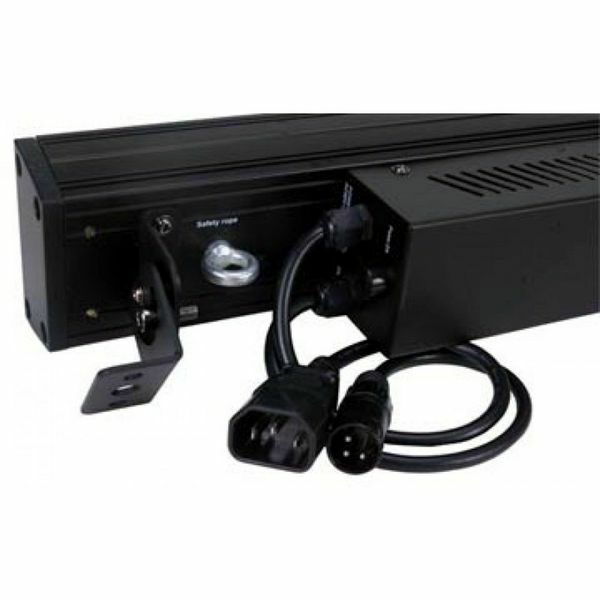 Ships with IEC power cable, 3-pin DMX and bonus deluxe cable tie.